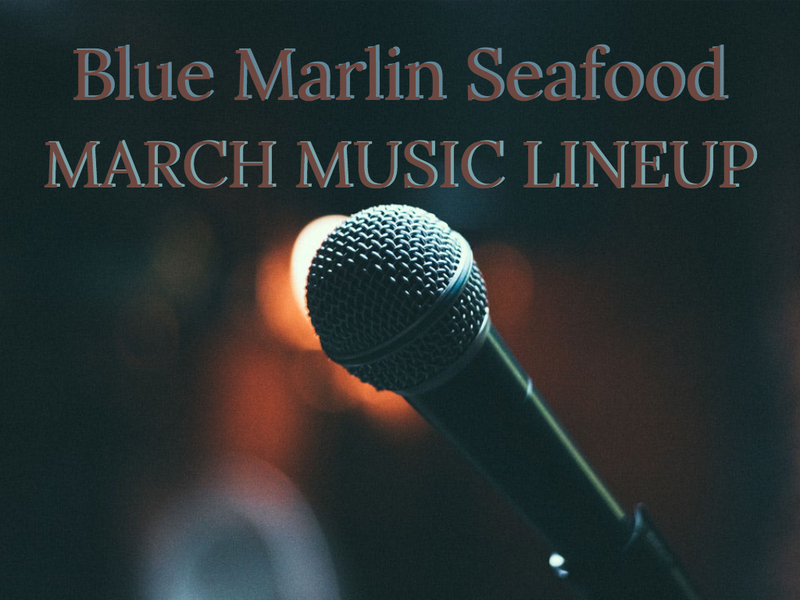 Join Blue Marlin Seafood For Their March Music Lineup! The expanded bar area is a mix of copper and wood. Tim Hellige has come to the Mar Vista Dockside Restaurant & Pub for 30 years. The Longboat resident concedes he misses the “smelly” bar, but he loves the renovations at one of his favorite watering holes. 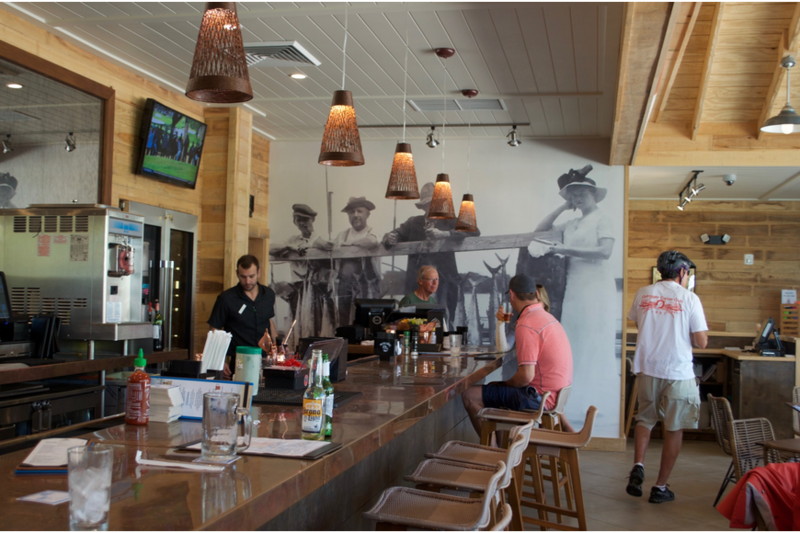 Mar Vista, a fixture for decades at 760 Broadway St. on the the northern end of Longboat Key, just completed a $2 million renovation that includes a state-of-the-art kitchen, second-story office space and storage, more outdoor seating, a new entrance, fireplace and covered walkway. 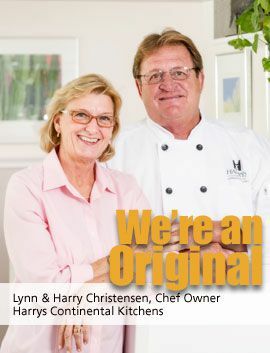 Patrons, such as Hellige, have had to navigate their way around construction projects because the restaurant was open the whole time during the multi-year renovation. The building, which dates back to 1915, still has its Florida charm. Copper and wood are present throughout the restaurant, which has a wide-open feel to it. Mar Vista manager Chelsea Matelau said the feedback has been positive since the Feb. 11 unveiling. Many of the old touches were kept and the menu remain unchanged. For example, the portal window in the new entrance was from the old door. Also, an enlarged photograph from the building’s early days adorns the wall by the bar. Besides a restaurant, the 760 Broadway Street building has been a fish camp — selling bait, tackle and beer — and apartments before being transformed to a restaurant. Plans for a second-floor dining area were dropped several years ago in favor of expanded outdoor seating. Mary Wilson of Sarasota and Mike Smith of Ocala were sitting at the bar on Sunday afternoon. Wilson, a regular patron for the last five years, said the renovations make a big difference. “I think it is night and day,” she said. “I was amazed and love the details, like the copper sinks in the bathroom.” said Smith, a first-time visitor to Mar Vista, adding he liked the laid-back atmosphere. Lonna Smith, who was with Hellige in the restaurant’s outdoor seating area, called the changes sleek, clean and accommodating. “I love what they have done,” she said. Ed Chiles has owned the Mar Vista since the 1980s. The Chiles Restaurant Group also owns the Sandbar Restaurant on Anna Maria Island and The Beach House in Bradenton Beach. It also owns The Studio at Gulf and Pine, a gallery and event facility on Anna Maria Island. If you wish to reprint your ticket to include the new event date, please follow the steps below. *Please note you are NOT required to reprint your tickets, the original January 2019 event tickets will be accepted. 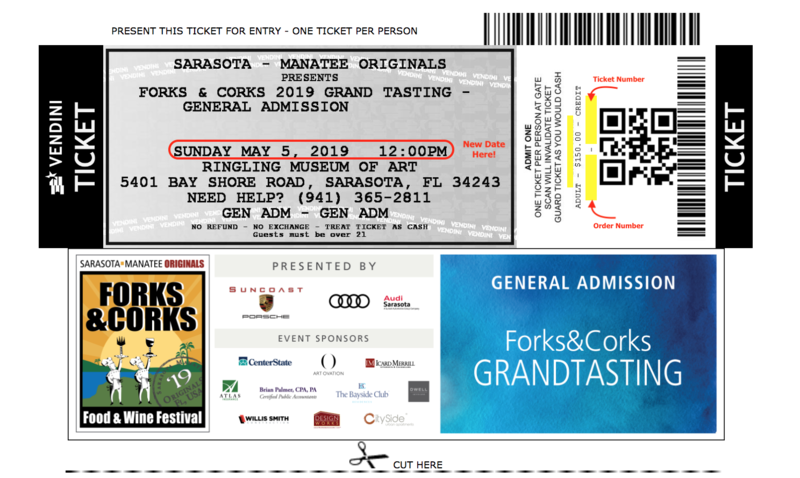 The e-mail subject line will read "Thank you for your ticket purchase"
The sender is "Sarasota - Manatee Originals - Forks And Corks"
3. 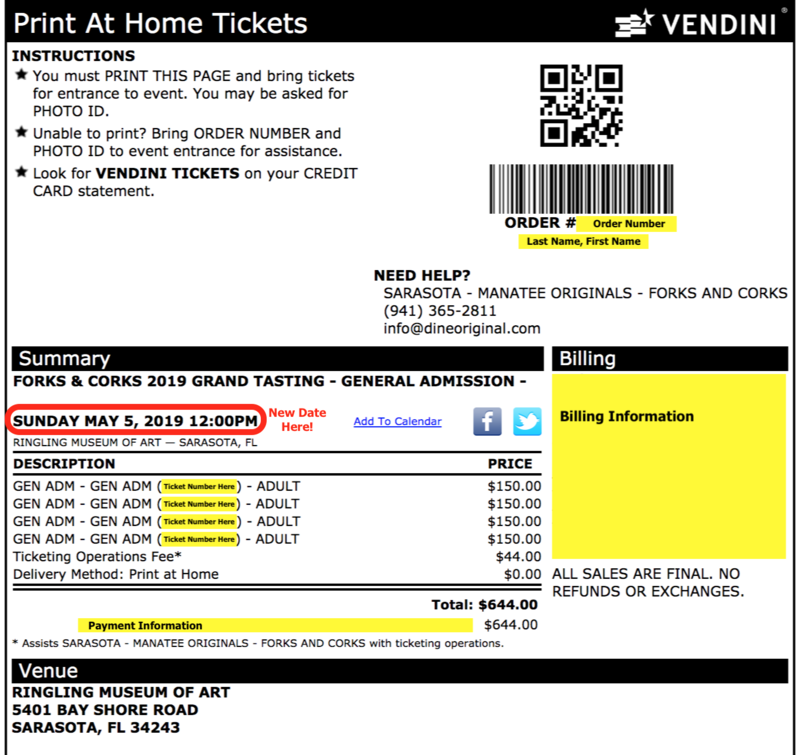 Your tickets will appear in your browser window. include the new event date and you may print directly from this screen. The ticket number will remain the same. If you need your ticket purchase confirmation e-mail re-sent to you, please e-mail info@dineoriginal.com. We look forward to seeing you at Forks & Corks in May!